Ms. Manique Gunaratne from the Employers’ Federation of Ceylon, Specialised Training & Disability Resource Centre together with Ms. Ayasana Gunasekera from EFC, Ms. Chamari Sandamali, EFC trainee from Jinasena Training & Rehabilitation Trust spoke about the MIUSA (Mobility International USA) – EFC (The Employers’ Federation of Ceylon) WILD (Women Institute on Leadership & Disability) Asia 2018 programme. 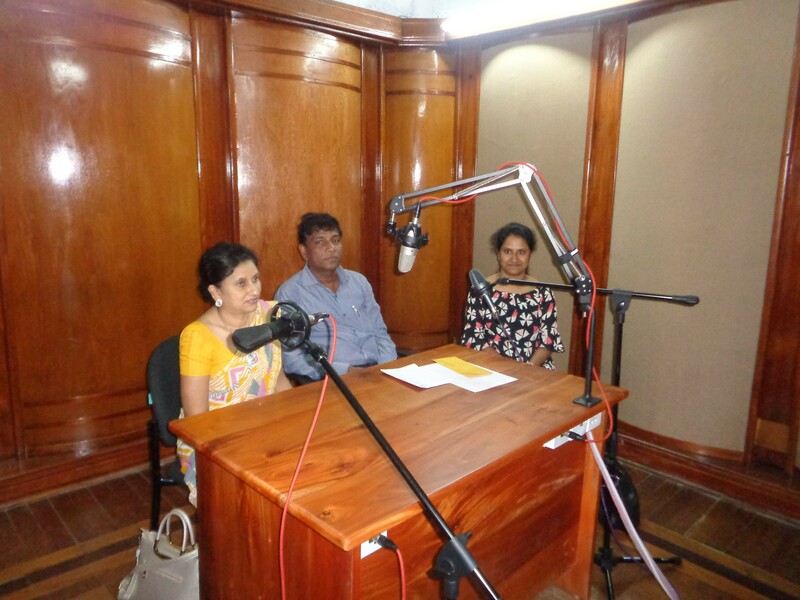 The half an hour radio programme titled “Anduren Eliyata” was broadcasted in June 2018 at the Sri Lanka Broadcasting Corporation. 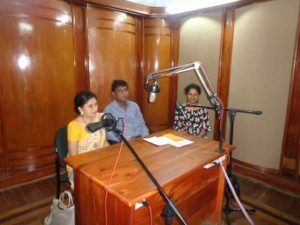 Sujeewa Manage, Manique, Ayasana and Sandamali at the recording.